Eleanor Roosevelt has quoted - "Beautiful young people are accidents of nature, Beautiful old people are works of art." 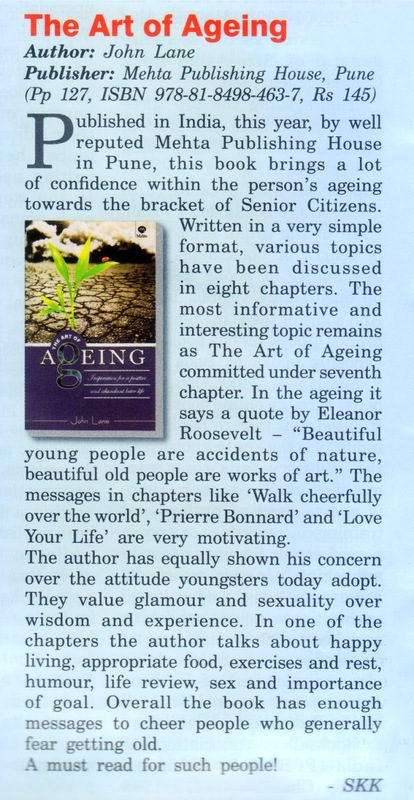 With excellent messages for viewers in chapters like "Walk cheerfully over the world", "Prierre Bonnard" and "Love Your Life" , Mehta Publishing House's latest offering, The Art of Ageing features in a detailed review on Not Just Publishing's June / July 2013 issue. It has been praised as a a book which has enough messages to cheer people who generally fear getting old. "A Must read for such people!"